October – a month that holds special meaning for me, and indeed for all who have faced the word and world that is Cancer. The present year brings many JOYS. Health, family, friends, and activities with purpose. It has brought two new purposeful publications both award-winning. It has given many sunny, beautiful days and hours to use for myself, my work, and even to plan and envision many more hours, days, even years ahead. 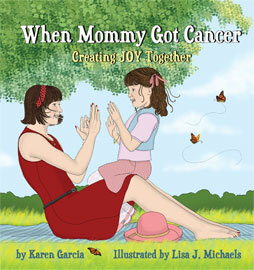 October Breast Cancer Awareness Month had special focus upon the newly released book, When Mommy Got Cancer – Creating JOY Together. 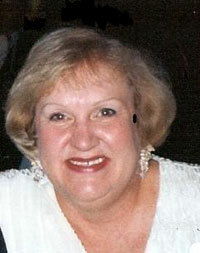 The dream and wish of Author, Karen Garcia has been realized (click on the book cover to see more). Myself, Karen’s mother, and book Illustrator, Lisa J. Michaels appeared on WJXT-Channel 4 ‘s (Jacksonville, Florida) Morning Show for a warm interview featuring the book. Click here to see interview. All those whose lives have been impacted by Cancer and those still to face the diagnosis and impact have hearts full of appreciation and gratitude toward those who walked, ran, supported and gave of sources and self to gain an upper hand. How appropriate, I think, that October is followed by November – Thanksgiving Month. Designation of “Months” helps us focus and arouse us to use our time for purposeful activities – to choose to make a difference. As I ponder the words – Cancer – Month – Purpose – Choose, my thoughts flow to realizations that all are connected, and connected positively; as in Cancer Month offers a Purpose to Choose to support. I share other thoughts from another time. A month, as with many months, I was forced to choose. I chose JOY. A diagnosis of cancer stabs deep into one’s being – physical, emotional, spiritual, and mortal. Each one of us so identified reacts and responds within the confines or expanses of our resources. Do I assume the mentality and habits of a victim? Do I take up yet another overwhelming challenge along life’s path of many challenges? Do I re-make myself anew? Do I put on the proud armor of survivor? Do I re-fill the tank that fuels my soul? You have chosen to survive. Choosing compels your focus of intent to make something your own. JOY is a unique blessing for you the survivor. JOY is a gift to you the survivor. Fill your spirit with JOY. Become JOY. JOY is only JOY when it is given – therein lies the blessing of survival. I start this – my first blog – with a whirling of thoughts on life with cancer. Life with cancer is life. It’s my life. It’s your life. It’s a life with cancer. My life with cancer began with the diagnosis the first month into retirement after thirty-four years as an educator working with special needs children and their families. How I looked forward to having my time. Faith has always been part of my life. I wasn’t afraid to die; but I wasn’t ready to leave just yet. I searched intensely for direction, for meaning, for reasons, for information, for options, and for support. I prayed and trusted for an extension on my time. My time has been extended. I heard the words “cancer free.” I celebrate my birthday March 11th – I celebrate MY TIME! Reflections on my time release from my inner being a full gamut of emotions – of self, of spouse, of son and daughter-in-law, of grandchildren, of extended family members, of dear friends and new friends, of fellow survivors (some whose lives were also extended and many whose time with us ended); but mostly the emotions are tied to lessons learned and blessings received. My time has afforded me options, choices, and opportunities to give. Giving of what I have been given in my time has been the most sustaining resource for renewal of energies and for refilling my spiritual reservoir. My time – your time, my life – your life are gifts for celebration and call for celebration for gifts! With the extension of my time, I wish to share thoughts, engage with others, and gift the blessings of survival to you. Ruth E. Clark, Ed. D.